View of Great Smoky Mountain National Park in spring before the leaves have returned. The national park system is one of America’s best features, and Great Smoky Mountains National Park happens to be the most-visited park in America. Even though it may not have the same level of public reverence as the Grand Canyon or Yosemite, the Smokies remain popular because of their scenery and convenient location in Tennessee and North Carolina, within a single day’s drive of most of the Midwest and east coast. The Smokies don’t have a singular natural feature to draw tourists, such as Old Faithful in Yellowstone. But they do have miles and miles of forests, campgrounds, and hiking trails. 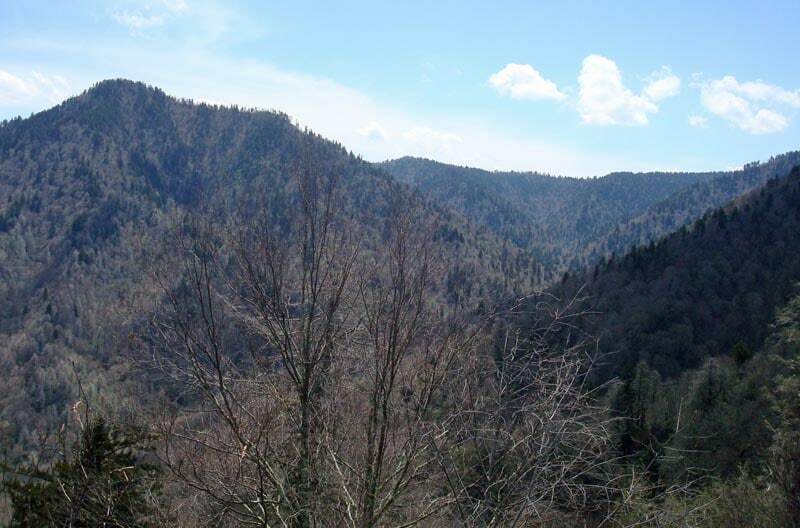 Entire books have been written about the great hiking in the Smokies, in fact. This Smoky Mountains travel guide includes all the info you’ll need to have a great visit to the national park. This article is split into sections that provide basic park information, tips for visiting, hiking and hotel suggestions, and 8 fun facts that you probably didn’t know about the Smokies. 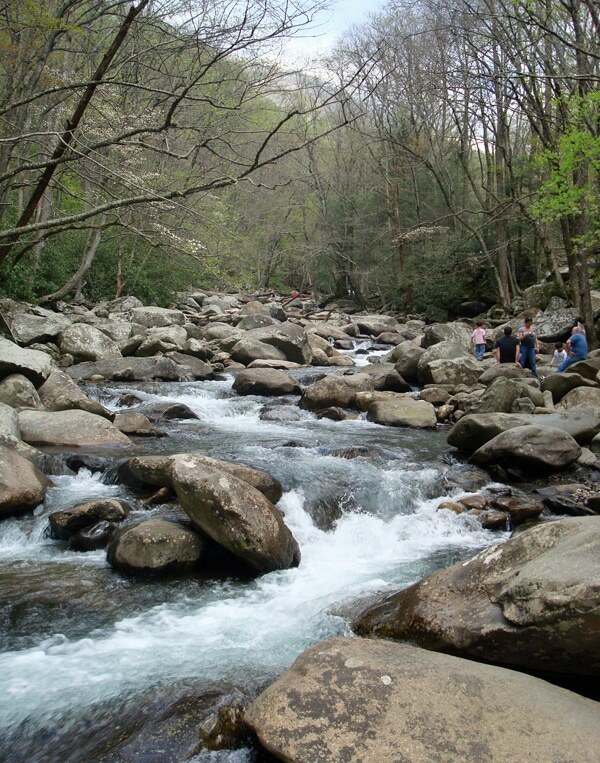 Read on to get started on your Smoky Mountain adventure! Great Smoky Mountains National Park covers more than a half-million acres surrounding the Tennessee and North Carolina border. It’s within short driving distance from Georgia and South Carolina, as well. 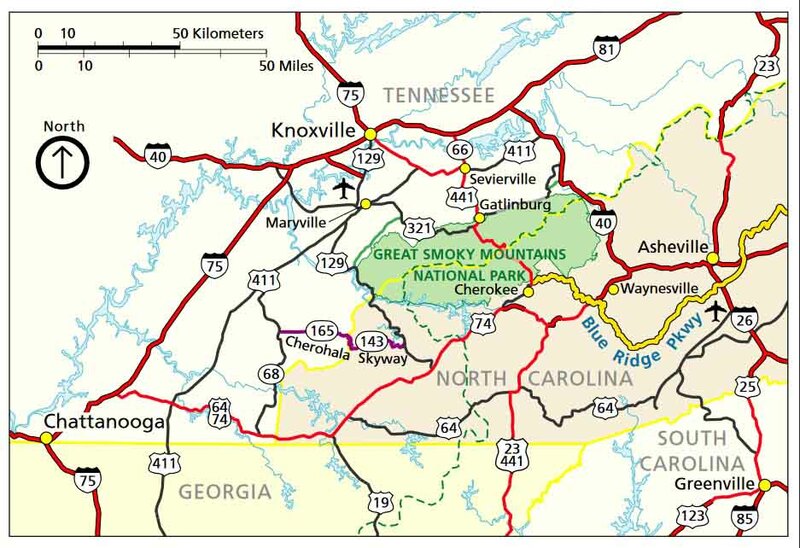 Here’s the official National Park Service map (PDF file) for Great Smoky Mountain NP. It highlights all the campgrounds, visitor centers, picnic areas, roads, and rivers within the park. Below, check out a smaller version of the map showing the wider surrounding area. Within the park itself, common activities include hiking, camping, fishing, ranger tours, viewing wildlife and flowers, and picnicking. It’s basically all about nature and the great outdoors in this park. If you’re into history, you’ll want to check out some of the park’s historic buildings. More than 90 log cabins, churches, schools, and old houses remain standing. Some are on the National Register of Historic Places. See a map of all the historic structures here. The park has three visitor centers. The Sugarlands Visitor Center and park headquarters are located in the north central section of the park, in Gatlinburg. The less-traveled western side of the park has a center at Cades Cove. And the Ocunaluftee Visitor Center stands in the southern North Carolina part of the park. These are good places to stop for maps and ranger advice when you enter the park. There’s also a Visitor Contact Center at Clingman’s Dome, the highest point in the park at 6643 feet. This center is located at the trailhead and remains open during daylight hours from April through November. One of many streams in the park. Good news: Great Smoky Mountains National Park does not charge an entrance fee. Woohoo! When’s the best time to visit? The weather is hottest during the summer months, which is when most visitors choose to come. Autumn is also a popular choice due to the changing colors of the leaves. In winter, temperatures in the lower parts of the park exceed 50 degrees F most days, but can drop to well below freezing if you go into the higher elevations. And many secondary park roads close during the winter. The Smokies are a popular family vacation destination. Families often visit to see the park and check out the nearby towns and attractions, such as Dollywood, the famous theme park operated by Dolly Parton in Pigeon Forge, Tennessee. Other popular things to do near the Smokies include Ripley’s Aquarium in Gatlinburg, the Hollywood Star Cars Museum in Gatlinburg, and the Hollywood Wax Museum in Pigeon Forge. 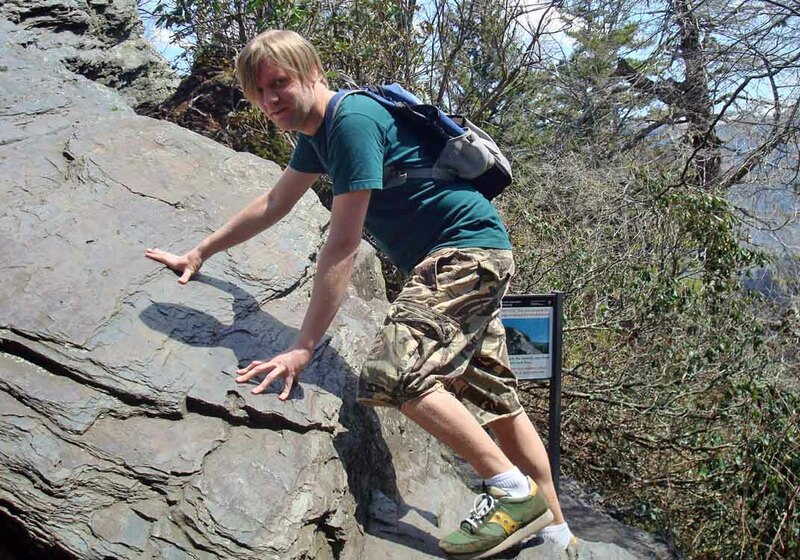 Here are a few of our recommended hikes in the park. For additional suggestions and detailed information, check out the book Top Trails: Great Smoky Mountains 50 Must-Do Hikes. You can also check out the NPS trail map (PDF) for Smoky Mountain park. Meanwhile, Porters Flat is best for kids or other folks who can’t hike long distances. It’s one mile each way from the parking lot near Greenbrier Cove to the Porters Flat area, where a decades-old barn and cabin still stand. You probably won’t need bear spray if you’re on a heavily-traveled path, but it never hurts to bring. The best places to stay in the Smoky Mountains range from campgrounds to cabin rentals to fancy hotels. It just depends on your personal style of travel. 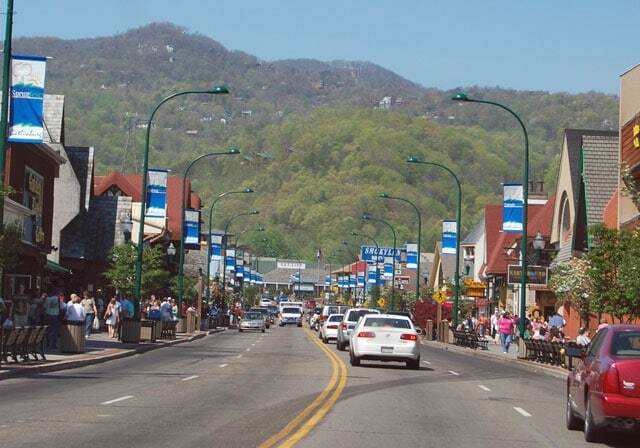 Driving through Gatlinburg, a town just outside Great Smoky Mountains National Park. First, the campgrounds. The park has 10 developed campgrounds with bathrooms, but no showers or electrical outlets. Most campgrounds range from $17-25 per night and they can be reserved in advance. 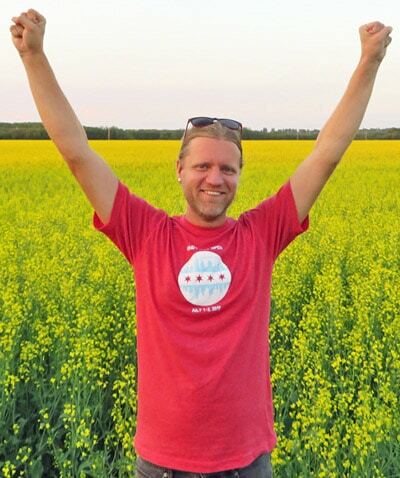 For those into backpacking, backcountry camping is permitted with advance permits and reservations. Within the park, LeConte Lodge is located in the middle of the wilderness at 6400 feet elevation. You must hike 5 miles to reach the lodge. Adventurous visitors may want to stay at the lodge. As for hotels, the nearby towns of Gatlinburg, Pigeon Forge, Sevierville, and Asheville all have options, though some of their vacation packages are expensive and they can fill up during the busy season. 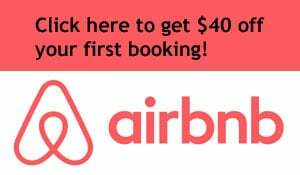 I always use booking.com to find the best deals since they always have the most up-to-date information on price, vacancies, and location. Click to look for affordable lodging in the Smoky Mountains on booking.com. 1 It’s the most-visited national park in America. National park junkies surely already know this, but the average person might not be aware that the Smokies attract more than 11 million visitors each year – more than Yellowstone, more than the Grand Canyon! How is that possible? Well, for one thing, Great Smoky Mountains National Park is big. Because it covers so much territory, people in Tennessee and North Carolina frequently drive through the park on their way to somewhere else. It’s on the eastern side of the country, where most people live. And the fact that it’s free to visit doesn’t hurt, either! 2 It’s considered the salamander capital of the world. A majority of the vertebrates inside Great Smoky Mountains National Park on any given day are not humans, but salamanders. The slimy amphibians can be found throughout the park. Among the 30 species of salamanders are 24 varieties of “lungless” salamanders. These wacky creatures breathe by soaking in air through their skin and the linings of their mouths. 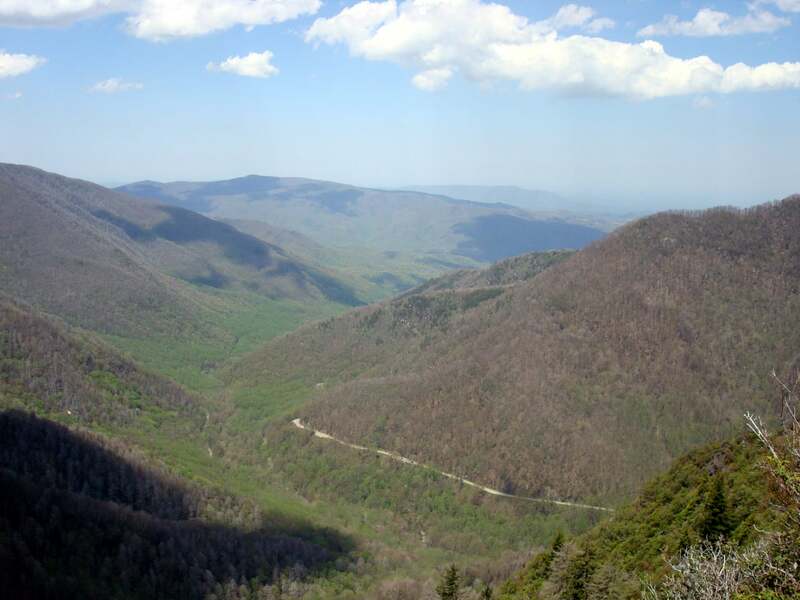 3 The Smokies have more than 850 miles of hiking trails. The Smokies are more than 95% forested land, so naturally, hiking and camping are big here. The park boasts more than 850 miles of hiking trails, including 70 miles of the famed Appalachian Trail. The National Park Service estimates that the average hiker travels at 1.5 miles per hour in the park, so pick the hiking route that most appeals to you and start walking! 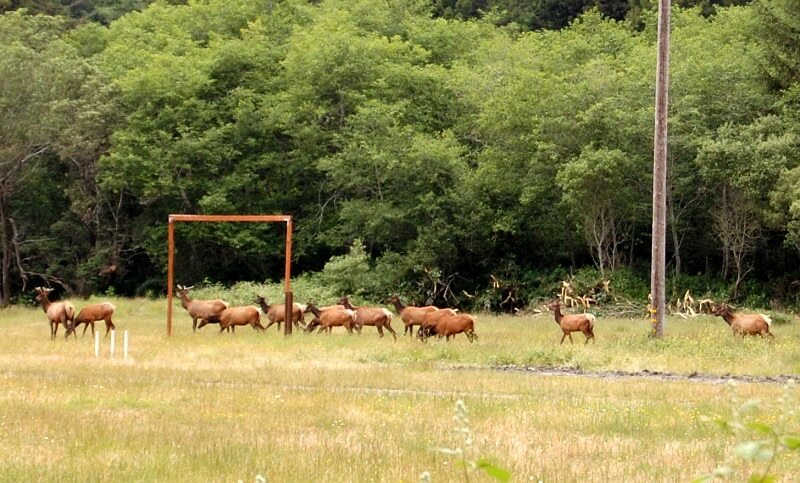 4 Elk have been reintroduced to the Smokies. Elk were once widespread in this area, but hunting and loss of habitat killed them off in the mid 1800s. In 2001-02, more than 50 elk were brought back to the Smokies. At last count, around 140 elk were living in western North Carolina. The best place to see them is in the Cataloochee area in the southeastern part of the park, and they are most visible in morning and early evening hours. River otters and barn owls were also successfully reintroduced into the Smokies. One species, the red wolf, was reintroduced but failed, due to low rates of reproduction. 5 A memorial marks the spot where President Franklin Roosevelt dedicated the park in 1940. On September 2, 1940, President Franklin D. Roosevelt dedicated the park as an official national park. The ceremony took place on Newfound Gap Road along the state line. That spot has been commemorated with the Rockefeller Memorial, created in honor of the Rockefeller Foundation, which in the 1930s coughed up the $5 million necessary to buy the land. Both Tennessee and North Carolina legislatures agreed to contribute $10,000 to the construction of the memorial. 6 The Smokies are home to 66 types of mammals. That includes about 1500 black bears, roughly two per square mile. Bears are the biggest predators in the park, but there are also coyotes and bobcats, which are far more rare. Pests like raccoons and skunks abound, and look up to see bats and flying squirrels at night. My favorite smaller mammal in the park is the pygmy shrew, which is just 2 inches long and weigh only 3 grams. Their tiny hearts race at 1,000 beats per minute. These fellas must eat constantly (usually worms and insects) to stay alive – they will die if they go more than an hour without food. That sounds like a stressful existence! 7 The park is full of historic log cabins. As noted earlier, the NPS says nearly 100 historic log buildings have been preserved or restored throughout the park. This includes houses, barns, churches and schools. Among the best spots to find them is the Roaring Fork Motor Nature Trail, a six-mile, one-way loop. In addition to the log structures, the loop takes visitors past waterfalls, thick forest, and wildflowers. 8 Fewer than a third of the species living in the park have been documented. According to the NPS, more than 17,000(!) species of plants and animals have been identified in the park. But scientists say there are at least 30,000 more (perhaps as many as 80,000) that haven’t yet been documented. That’s a whole lot of foliage and wildlife! The reason for the diversity is the wide range of environments in the park. The elevations go from 875 feet in the lowlands to 6643 feet up in the mountains, so lots of different types of plants and animals can find a home somewhere in the Smokies. This video from National Geographic shows how beautiful the park can be. Wow, this place sounds really interesting. I must admit that I’d never heard of the Smokies before and after reading this I’m baffled as to why. I love all your interesting facts. I also didn’t know there were so many different types of salamanders! Thanks, the Smokies are a fun place to visit! Who doesn’t love a National Park? We haven’t yet made it to the Great Smoky Mountains, but hopefully one day. I have this not so secret desire to travel all around the country and visit each and every National Park. What a trip that would be! Me too, Patti! I’m trying to see as many national parks as possible, but I think I’ve only been to about a third of them. There are so many!